← Monday Question – Do You Enjoy Perfume Oils And Solids? 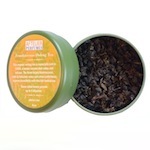 Birgit asked me a while ago if I would be interested in trying Mandy Aftel’s new fragranced organic teas. I love tea and cannot go a day without it. Also, I have never tried anything from Mandy Aftel and this was an honour for me. Mandy Aftel sent her three tea creations – Organic Frankincense GABA Oolong, Organic Rose and Ginger Oolong and a Organic Matcha Chai Green Tea. Finally a moment to myself…. I know I am supposed to be doing a dozen other things this morning, but I shooed the men out of the house and eagerly went back to the kitchen. I was most curious about the oolong with frankincense as frankincense is very dear to me. I am blessed because a dear friend of mine brings me frankincense from Oman whenever she can. Normally I burn it in the house. However, this time my friend mentioned in passing that I could put a piece of frankincese in water and have scented water. I did that this past summer and loved the effect it had on my soul and my palate. So, I set my water boiler to 95 degrees, poured the tea leaves into my cup and waited. When you smell oolong it comes across as earthy and slightly roasted, unless it is green oolong. Mandy’s oolong smelled faintly of frankincense when dry. I poured the water onto the leaves and was struck by how beautiful the frankincense diffused with the steam. I held my nose to the cup and inhaled deeply. Ahh, this could be something for my inner peace – I could get used to drinking this. I sipped slowly at first and was surprised how sweet this oolong tastes. The frankincense is subtle and soothing. Beautiful. Next I tried the rose ginger oolong tea. Usually rose essence in food is difficult for me to like. Opening up the small packet of rose ginger oolong I was pleasantly surprised at the initial rose smell. It was there but not as artificial as some drinks and desserts can be. Imagine my surprise when I poured water over the leaves and as the leaves were unfurling the most tender smell of ginger with rose hit my nostrils. I find that the ginger tempered the rose and really rounded out the perfume of the tea. I really tasted the rose when I sipped the tea. There was nothing brash about the rose and I believe it was because of the added ginger. Usually ginger tea makes my throat tingle and I drink ginger tea when I have a cough or a sore throat. This rose ginger oolong is so well balanced and fresh that it is a perfect cup of tea for every day. Matcha tea is a staple in my house. I used to drink it pure until I travelled to Japan and was served a soy matcha latte and it is now a favorite of mine year round. However, for the purposes of this review I chose to try Mandy’s chai matcha pure. I was intrigued with the notion of having matcha and chai flavoring together. Chai tea is black tea in my house and usually full of soy milk and sugar. The spices in Mandy’s tea unfurled in the steam coming out of the cup and I inhaled before sipping. 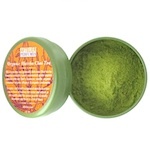 This chai matcha is full bodied, spicy and smooth. Wonderful. All three teas are different enough to warrant having all of them in the house. They are beautiful. The healthful properties of oolong and matcha tea have been enhanced with these subtle flavors. Editor’s Note: Many thanks to Sandra for this excursion into the world of teas. I am intrigued and ready to try teas more complicated than Twinings Earl Grey now. What about you, dear reader? Are you a tea drinker? What is your favorite kind? This entry was posted in Aftelier and tagged Frankincense, Ginger, Japan, Mandy Aftel, Matcha, Oolong, Perfume, Tea. Bookmark the permalink. Give it a try if you have some frankincense on hand. It is gorgeous. English Breakfast all day (after coffee) but keen on this oolong with frankincense caper. Who knew? Besides Sandra? When you (Birgit) interviewed Mandy I liked the way she started her day with a pot of Oolong tea. Tried that but have to do the coffee thing. Thank you Sandra for your trial which I think was not so much a trial but a delight. It was a delight! I do understand your need for more caffeine. Black tea first and then I move on to oolong and green teas. 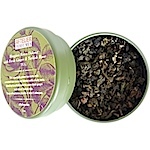 I am a big fan of Rishi tea, especially their White Tea Rose Melange. I also love oolongs. I have read a lot about Frankincense in waters and teas and your essay, Sandra, has got my mouth watering! I’ll check out Mandy’s teas. They must be good because her perfumes are peerless! Thank you for mentioning Rishi. I will be on the look out for their teas while I am in the States. Now I need to try some of Mandy Aftel’s perfumes. I am sure they are wonderful. Enjoy the tea. They were surprisingly delicate in flavor. I am sure you would enjoy them. Do you prefer unflavored oolong? I have never truly enjoyed scented oolong – until now. I am hooked. Mariage Freres is my only source of tea- beautiful teas. I agree with you completely that tea is an art. You have wonderful taste! Jasmine Silver Needle is wonderful. I am now quite curious about you being a tea merchant. Since you have frankincense in the house – give it a try in your water. It is invigorating and calming at the same time. I have far more tea than I should. Now I want more. My favorite is a green tea that I buy a tiny bit of at a time because it’s $200 a pound. I buy a few dollars worth and treat myself to a few cups now and then. I can’t remember the name of it. I am so happy that you have a tea with which to spoil yourself! I would love to know what it is. It was a real treat to read about these beautiful and luxurious sounding teas, Sandra. Thank you so much. I really need to expand my tea drinking horizons from Red Bush and the standard English. I found Lapsang Souchong and Darjeeling too strong for my tastes. English tea is also nice. If you found Lapsang Souchon and Darjeeling too strong you may like green oolong and green tea. London seems to be the perfect town to try various teas. Thanks for the advice, Sandra and I hope we can have tea together at Fortnum and Mason one day. Tara that would be wonderful! We should be visiting London soon. My favorite is Harney&Sons Hot Cinnamon Spice, very warm, with natural sweetness or orange. Perfect for cold days. Mandy Aftel teas sound good to me! The Hot Cinnamon Spice sounds delicious. I love apple cinnamon herbal teas in the fall. Warms my mind and body. That’s exactly how Hot Cinnamon Spice is. Orange peel & cinnamon, poetry of flavors. Tea at your place next time. What a wonderful piece, and now I have three new teas I want to try. I love frankincense in anything, although I’ve never tried it in tea, and now I absolutely must! And I love chai – it always makes me happy. 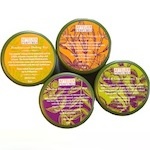 So now I must add Mandy’s teas to my list of those I want to try, along with several by Mariage Freres. Thanks again for the review! glad you enjoyed Sandra’s thoughts. 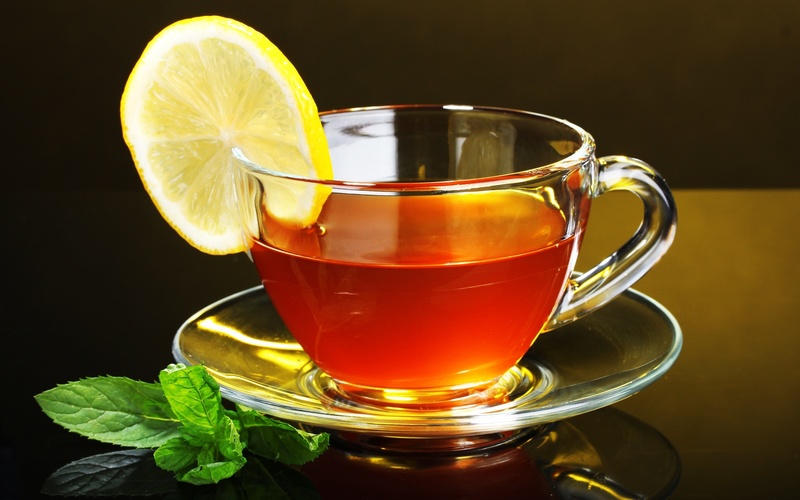 I think the teas are a must-try for tea lovers too! Whoo, these sound lovely – am particularly drawn to the one with rose and ginger. Generally though, my favourite tea is Twinings Everyday English Breakfast – I am a simple soul in my tea tastes. That said, I was drinking a cup of white tea and elderflower the other day thinking it might be better for my cold, and that was the one I upended all over my desk, phone, papers and carpet. It doesn’t seem to have stained the carpet the way black tea would have done, so it is now my ‘go-to spilling tea’ if not my favourite brew as such. .
Wow, I am so pleased with your triple tea review! I love reading the very smart notes and details from such a tea connoisseur. Thank you so much Sandra (and Birgit) for this perfect treat!